"Dolce Nonna uses only the finest all natural ingredients including: the highest quality extra virgin olive oil, vinegar, Sicilian oregano, garlic, spices and produce. 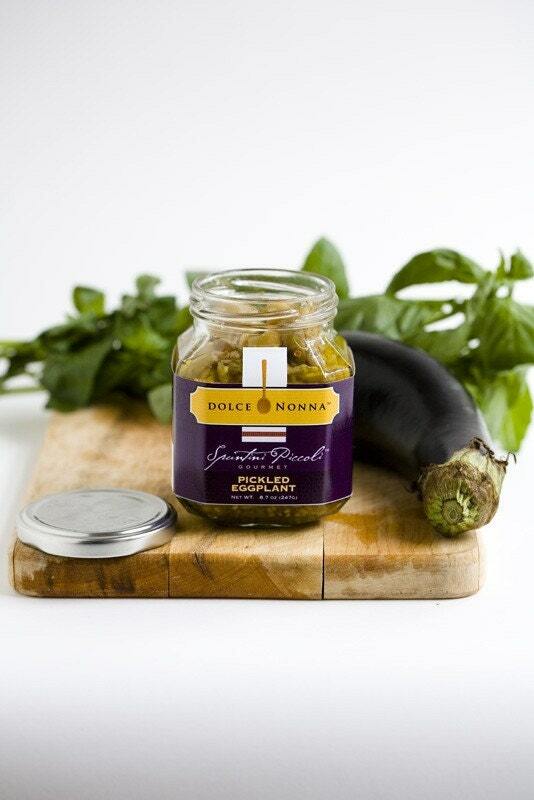 In this recipe, fresh premium eggplants are carefully marinated in vinegar and uniquely packed providing a one of a kind taste and experience." "Use your favorite choice of mixed greens topped with Zia's Sweet Italian to your taste. 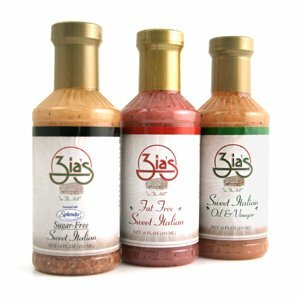 Also use as a marinade or basting on the grill for chicken, fish, pork, or steak." 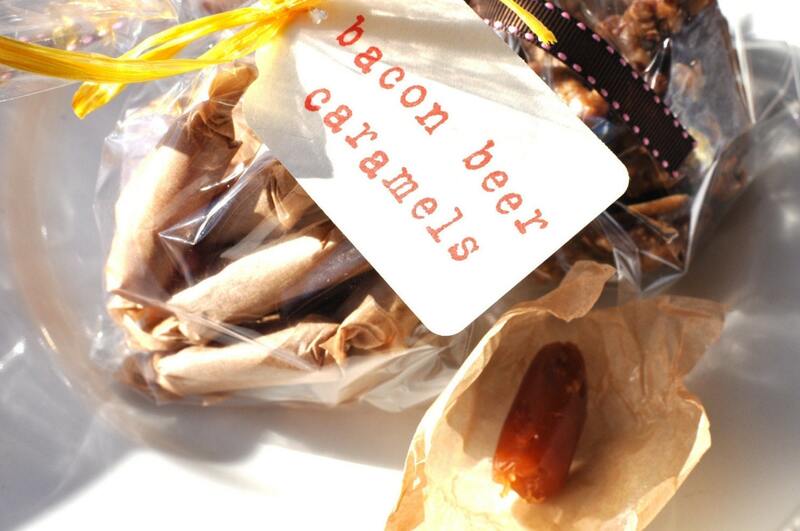 "Crispy Applewood smoked Bacon Bits and Maldon sea salt stirred into Kettle cooked Caramel made with the malty goodness of Dogfish Head 90 Minute Imperial IPA." "Great Mothers Day gift idea, You will get your choice of 1 brownie mix in a food safe plastic bag then placed in a brown paper bag. My brownie mixes are super moist and chocolatey. 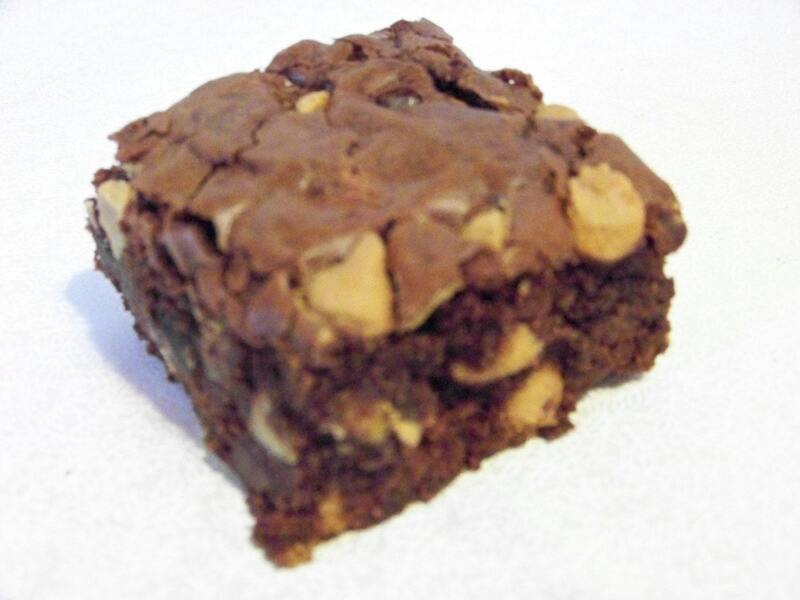 You will get all the finest, quality dry ingredients to make homemade brownies. All you need to do is add the eggs, butter and vanilla then bake and you have homemade gourmet brownies. Each jar makes a 13x9 pan of brownies."